A humble meal originally from the rice fields of Valencia, paella has become the most emblematic dish of Spanish cuisine, and is now served in restaurants across the world. But for our money, the best is still made in the Comunidad Valenciana. 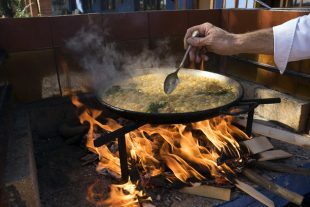 We visited La Matandeta, a popular restaurant near the Albufera, to learn how the perfect paella is made.